Hi Muffy I am not Cookie but I have noticed that on some of the threads when someone has posted it doesn't show up on the index page. A couple times I have had to go to each thread I wanted to check on to see if anything has been posted. There have been updates within a few minutes. But they aren't showing. If that makes sense. Thank you Green Eyes. Not that I can do anything in regard to fixing technical problems on the forum but I wanted to get as much information as I can to pass it on to Klaasend. I've emailed our tech guy (James) and told him the issues. My guess (and I do mean guess) is that we are in need of a forum software upgrade and it hasn't been done. I'll let you know if he figures out what the problem is. 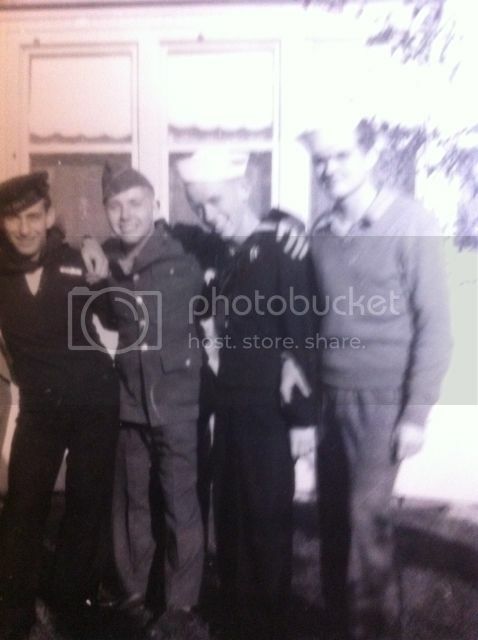 My dad, 2nd from the left. WWII Big Red One veteran. My dad (who turned 91 in March) was in the the Big Red One, too. Last year we got him on an Honor Flight -- which is an organization that takes WWII veterans to Washington, DC to see the memorials at no cost to the veteran. Tough trip from S Florida -- they met at 4:00 AM and returned home about 11:00 PM -- but it is a year later and he still talks about it every day. He was jazzed for weeks Great organization! Muffy....seems to b ok now. I was not getting the thread options like it normally pops up where I can pick the threads and I posted and it did not seem like it went through. Working now though from just now logging in. I'm sorry it's still on the fritz Cookie. Hopefully it will be remedied soon. Caddy, for you and your bucket of lemons. Thank you so much for the prayers. I love coming here and reading, sharing and praying with all of you. I guess my constitution, of being a southern lady, is not to share my burdens with others. I have many blessings in my life, and I will count those each night. It is such that I have never been this stressed in my life- with all that is going on. But you know what? I am taking each one of those challenges on - straight on!! PS Chubbie is looking a tad thinner lately!! I heard on the news that every state except for N. Dakota and Alaska was supposed to hit the 90° mark today! How's that for the first full day of summer? Hope everyone stays cool today! 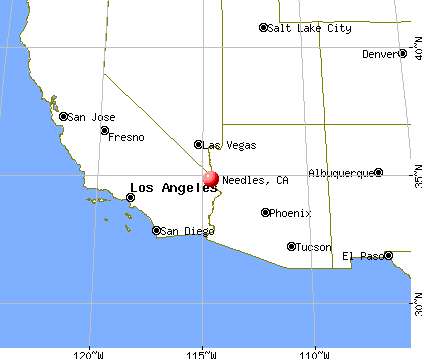 Elsewhere in California, it hit 111° at Needles, Needles Airport though. Today near Wilmington Delaware it was 99 and with heat index about 115. The funeral in the funeral home was good because of the air conditioning. The grave side was brutal and thus very brief. Drove around 360 miles today and thank goodness had no car trouble. The temps are especially brutal for us on the East Coast, since we have not had these high temps for a long time, and not been able to acclimate to them. 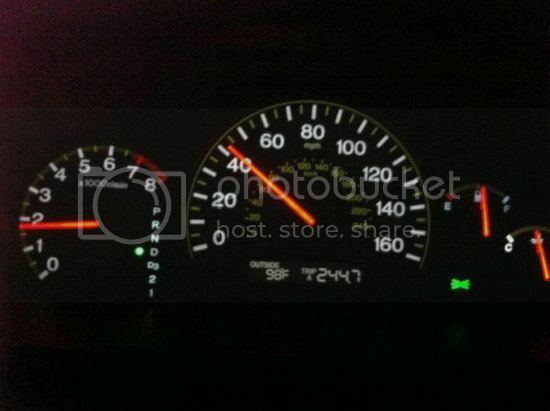 My husband spends a lot of his working day going in and out of his vehicle and spending time where there is no A/C, and he has had a rough go of it the past few days. He said if it were August, the heat would not be bothering him so much. Glad you had A/C inside and that your car drove well on your long trip. Yeah everything inland is pretty hot. Right along the coast is the only cool spot. I hear the heat on the east coast is supposed to let up in the next few days. Edited to add that Needles is pretty much desert. Sister...you don't have to retire to be an advocate for people. You already are! How true Cookie. I have a lot of experience, don't I? I know your weekend will be bittersweet but your family and the grands will make it all bearable. On a different note, I had Mr. Jenkins for the weekend and took him back to Connie yesterday. Had given him a bath and he looked so good. What did the angel do, roll in duck poop so now I have him back to give him another bath. On a sadder note, George's mother passed away in her sleep Monday night. So another funeral. George is doing ok. As I may have lamented before, his family makes no effort to come and visit him so I will be needing to hold my tongue. I know I can, I just don't want to be quiet, but as the Bible says, there is a time for speaking and a time to refrain from speaking. Thanks Brandi, hope your beautiful, cuddly doggie is making out ok too. Thank you Bearly and everyone for your thoughts. George did better than I thought. Mentally he is about a 10 year old, and he has a very tender heart. Lots of people and relatives to greet him so that helped. The heavenly glue stayed on my lips so it was good for me too! Not one unkind word came from me, though God surely knew what I was thinking and kept me from speaking. Caddy, taking one challenge straight on and one at a time is the way. Please know you can share -- it' one of the things friends are for and I think we have some great friends here. Glad Cubbie is a tad thinner -- better than a tad thicker -- hehe! Blessings to you on this day and every day. How odd you guys talking Needles Calif. Last night Babkats niece was going thru Needles at about 9:30 and see sent a picture of the temp. Which wasn't as bad as it is sometimes. We have gone thru when it's been in the 100's at 2 in the morning. Starting Sunday we are headed up to the 100's. Page created in 10.132 seconds with 19 queries.